Rarely has a phenomenon had the kind of effect on culture and business social media has. To say that social media has taken the marketing world by storm would be a massive understatement. And social media can indeed be a very useful tool for marketers. Today, let's talk about some ways you can leverage the power of social media to add rocket fuel to your online marketing campaigns. While we're at it, let's also cover some mistakes and pitfalls you will want to avoid. As marketers desperately wanting an advantage over the competition, we are prone to fall for the latest digital sensation just because it's popular, flashy and promises wonderful, previously undreamed of results It's common for us to think that just one special tool, one “magic bullet”, whether it's social media, SEO or video marketing, can be the answer to all of our marketing headaches and dilemmas. Mark my words: It's not true! In this blog we've referred to online marketing as a “chain” with “links” or as a “puzzle” with “pieces”. The point is that effective marketing online requires a number of different parts, and none of these parts live in a vacuum. They depend on each other. How Many Marketing Tools Do You Use? They won't succeed (and neither will you) if you try to use them in isolation. You need a powerful synergy in your online marketing, so use your tools together, to complement each other. It would be absurd for a homebuilder to use only a sledgehammer when trying to build a dream house; instead, he uses a range of useful tools. Likewise, when you are building your online marketing “masterpiece”, you want and need the right tools – not TOOL, but TOOLS! Just as the homebuilder uses the right tools at the right time, he also ignores the wrong ones. Online marketers should do likewise, including with social media. Assuming your prospects use social media, you want to be present on the same channels they use and avoid the ones they don't. For example, if you sell industrial chemicals, chances are you will have zero success reaching prospects on Pinterest. You need to be on LinkedIn instead. It's so easy to think that sales and marketing is all about speaking and telling, but it needs to be as much if not more so about listening. And social media marketing is no exception. The smart marketer who uses social media effectively will spend a lot of his time using it as a listening tool. 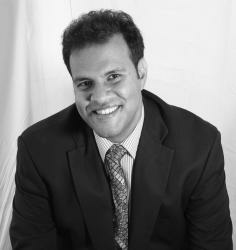 He'll pay attention to what potential customers are saying about his product and company and about his competitors. He'll listen to their conversations to learn more about what drives them and about their problems and how he can solve them. A program you might find useful to help you in your social media listening efforts is socialmention.com . Social Mention allows marketers to monitor and measure social media conversations. So yes, “listening” is an important part of online marketing, and social media can help you be more effective at it. But social media also lets you "talk". It's an ideal tool to tell the world, especially your potential customers, you exist. It's cliched but true; people buy from those they know, like and trust. You can use social media to build trust in potential customers' hearts and minds. People trust givers, and social media lets you give. You can post content, including curated content, that leads them to trust you, like you and feel like they know you. Social media can help you win first time buyers. You can use it to deepen and strengthen relationships with your customers and win repeat sales. Here is one way effective social media marketing looks like a solid email marketing (or content marketing) campaign: give your followers valuable information they can use and see massive benefits from even if they never buy anything from you. We've all seen it: the would-be social media marketer who gets on a particular channel and does nothing but blast his audience with requests to buy his stuff. As soon as you add him as a Facebook friend, LinkedIn connection or follow him on Twitter, he starts spamming you with unwanted sales messages. In social media marketing, this is the kiss of death. Rarely if ever will you sell directly to your network through social media. Use it instead to build relationships, credibility and your status as an industry thought leader. Use social media to build and maintain TOMA (Top Of Mind Awareness) in your readers' minds. Remember that when they first encounter your brand, whether on social media, through a search engine, etc., they often aren't ready to buy. They may not be ready to buy for several months. Let's say they learn today about what you can do for them. They are finally ready to make a purchase six months from now. Will they remember you? Will they buy from you? Or will they forget about you entirely and buy from one of your competitors? Take steps today to ensure they remember you. Build TOMA. Social media can help you do this, especially in conjunction with blogging and other forms of content marketing, including content curation. Like we said a moment ago, rarely if ever will you make a sale through social media. What you want to do is drive traffic from your social media pages to your other marketing channels. For example, when you post a new entry on your blog, announce it through your social media outlets. Include a link to your blog article, of course. The Ultimate Purpose Of Social Media Marketing? The bottom line is that you want to directly and indirectly use social media to drive traffic to your website, the anchor for your online marketing ship. Once you have visitors on your website, the sky's the limit for marketing to them. You can sign them up for your email newsletter. You can direct them to your blog or “Content Library” where you can “sell” them on downloading your latest white paper or registering for your value-packed webinar. If you have an e-commerce store, attracting the attention of shoppers is a big first step in persuading them to buy. And of course, to be most effective, your online marketing campaign needs landing pages, whether your prospects come to you from your social media channels, an email you sent to your list or from a web search. The beauty of a well-engineered, well-designed, well-put together landing page is that it takes visitors who have been bombarded with the distractions, chaos and “noise” of the web and social media and channels their attention to the issue at hand, to the thing you want them to do – convert from visitors into buyers. 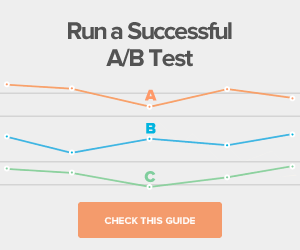 Think about it: without conversions – that is, sales, you're out of business. Social media can offer you a lot of “bang for your marketing buck”, but it's only part of the solution. It can drive traffic to your website, it can build trust and your thought leader status, it can cause TOMA in your social media followers' minds, but your online marketing still needs to convert. And for that, you want landing pages. Are You Benefiting From This Powerful Online Marketing Tool? But you don't want “just any” landing page. You want a proven, “been around the block” landing page template that has been engineered to help you enjoy a higher conversion rate, like Lander. 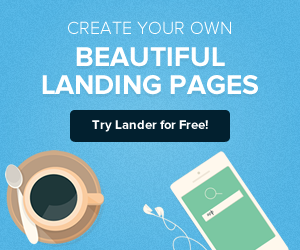 If you're a busy marketer or business owner, you want a landing page platform that's incredibly easy to set up and super simple to manage, like Lander. And if you own an e-commerce store, you want a landing page platform that makes it easy for your customers to pay at check out, like Lander. How does Lander do this? Here's one way: we offer you PayPal integration that makes it easy for your customers with PayPal accounts to pay at checkout, a critical step in the e-commerce process, one where many “buying journeys” are abandoned. 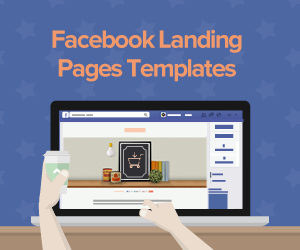 Plus each Lander template comes with a mobile-optimized version. This will help you reach more of the 30% of US consumers who use their mobile devices when shopping. This short list of wonderful features and benefits only begins to scratch the surface of what Lander offers marketers like you. 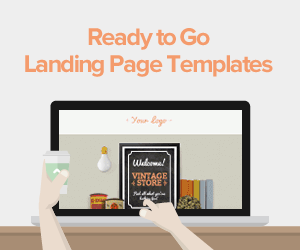 But this may be our most popular feature of all: you can try any of our landing page templates for free. Questions? We have answers. Contact us today!